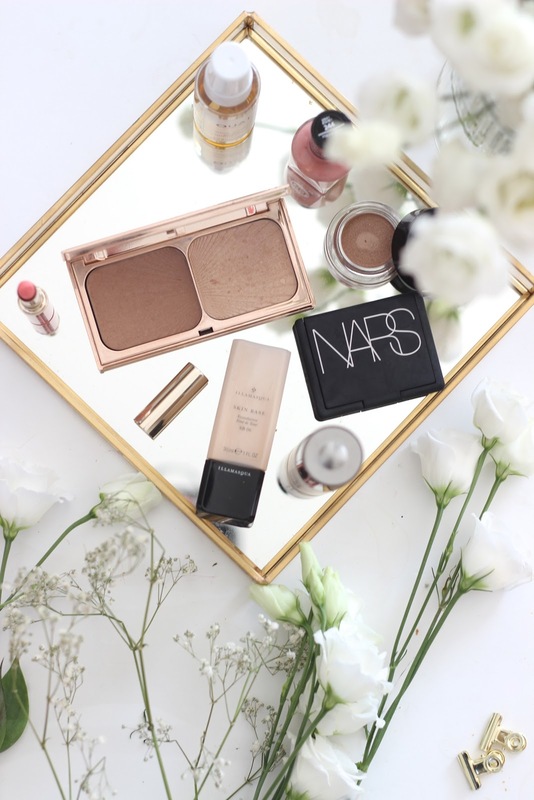 Bank Holiday Makeup Menu. | By Millie. I love waking up on bank holiday Monday knowing that I can spend the day chilling with friends and family, and of course spending a little longer on my makeup. Can't every week consist of a three-day weekend? 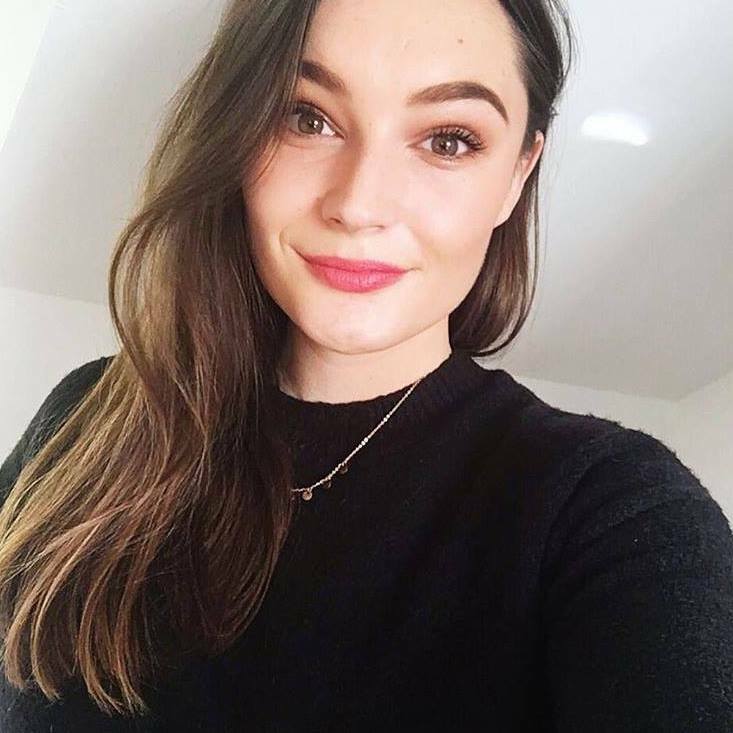 I knew that I wanted to do some kind of bank holiday makeup related post, so I thought I would simply share with you the makeup I've been wearing across the weekend. Like most, mine has been filled with lots and food and spending time at BBQs with the fam, so it's quite a relaxed look, but one I've been loving. Becca Backlight Priming Filter: I always start any look with a primer, and a glow giving one was on the menu today. I love how this makes my skin look, so healthy and dewy, without adding too much of a harsh golden shimmer. It's a great primer for when my skin is looking a bit dull, it naturally perks it up. Illamasqua Skin Base Foundation: I haven't worn this foundation in so so long, but it's such a great one. The coverage is medium, but can be sheered out with a beauty blender, or built up - it's quite versatile I must say. The finish is very natural too, slightly on the satin/matte side, but with the primer underneath my skin still remains fairly dewy, just how I like it. 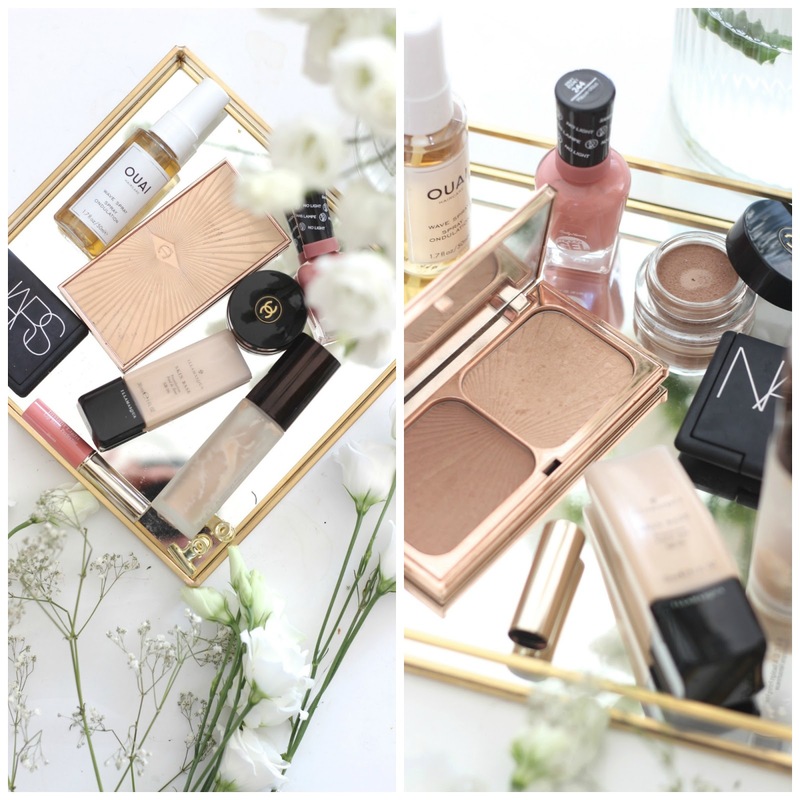 Charlotte Tilbury Filmstar Bronze and Glow: I can't go a makeup look without a bit of bronzer and highlight, they're such essentials for me. This duo form CT is stunning, and I'm sure you've seen it many times. The bronzer is a lovely medium brown shade which warms up the face beautifully. The highlight is the best part for me though, it's a gorgeous champagne gold shade which looks amazing on the face, it has a blurring effect which I adore. Nars Lovejoy Blush: Blush is another staple for me, I love them for adding a subtle boost of colour to the face. This Nars one is a lovely deep copper mauve shade, it's such a beautiful everyday shade as it seems to go with every look. Although in the pan it looks very dark, it's not that scary on the face if you use a light hand, it leaves a lovely warm flush to the cheeks. Chanel Longwear Cream Shadow in Undertone: Why is it that I always gravitate to the most neutral shades EVER! This is a stunning shadow though, I love the way it looks as a one-wash-wonder all over the lids. It looks lighter on the lids than it does in the pan, it's a gorgeous taupe-y bronze shade, a perfect mix of the two. It lasts really well on the eyes and I just adore everything about this Chanel beauty. Clarins Instant Light Perfecter Balm in Rose: I wanted a very fuss-free lip for this bank holiday as I know I will be consuming all the food. These balms from Clarins are great at keeping your lips hydrated, but also adding a slight tint of colour which can be easily reapplied throughout the day. This shade is the lightest of the bunch, and it's almost undetectable on the lips, but still adds a slight hint of pink. Sally Hansen Miracle Gel Nail Polish in Mauve-olous: I don't really mention nail polishes on my blog as to be honest, I normally get a gel-manicure, as oppose to doing it myself at home. I wanted to save my pennies and see if I could fall in love with nail polish again, and this is a game-changer. This is the best nail polish from the drugstore ever invented!! I've had it on for 5 days already and I have next to no chips, it's a bloody miracle. This colour is also beautiful, a lovely dusky pinky mauve shade with a bit of peach in their too. I'm definitely going to pick up more shades and do a whole post on these, so stay tuned! Ouai Wave Spray: I tend to curl my hair on the weekends and I have a bit more time to spend getting ready. Post curl, I love to add in some wave spray to break up the curls and make them look more natural and lived in. This one is a gorgeous formula, it's not crispy and it feels like nothing in the hair.